It’s true that whatever your mind focuses on materializes — that’s probably how I stumbled upon this book. 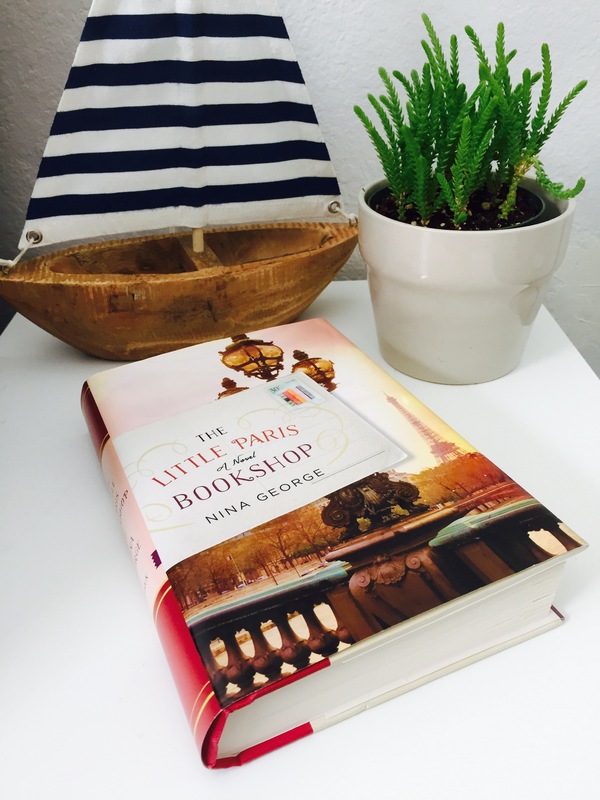 It was a book filled with tiny gems, on one’s love for another, on one’s love for books as I craft my way around building this blog — my own tribute to the books I read. How far and how wide the world opens up, even with a single turn of the page. But books as currency in the modern world? I shouldn’t believe it’s impossible. When Perdu cast off the ropes that had bound the Literary Apothecary to the river bank for decades, all he had was a plethora of books, the neighborhood cats and the weight of what he should’ve done 21 years ago: fight for the love of Manon, his lover who disappeared one morning. Manon, who believed that the world’s rulers could only be capable of understanding humans after reading thousands of books and acquiring a reader’s license, who taught Perdu how to build a home within himself, who disappeared one morning without a trace. On the book barge’s first embankment when they were stopped by the river patrol, Perdu managed to pay the fines by trading books with the patrol officers. The officer settled for a recipe book called Cooking for the Single Man and a copy of a book written by Perdu’s young neighbor and famed author, Max Jordan, who decided he wanted to come with him. 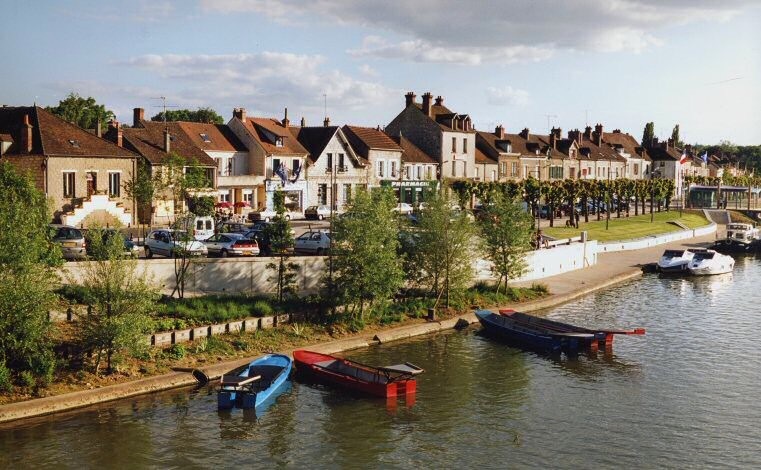 At a stop in Saint-Mammès, a commune on the confluence of the Seine and Loing rivers, Perdu was able to acquire a newspaper, stamps, postcards of the marina, some baguettes and croissants in exchange for a single book. Using them [books] as currency didn’t come easily to him, for he knew their true worth. A bookseller never forgets that books are a very recent means of expression in the broad sweep of history, capable of changing the world and toppling tyrants. As he went on his journey, I was continuously struck by the novel ways books afforded Perdu the means to unmoor himself from the stoicism and gloom of his previous day to day existence. To read about a world where the exchange involving books could provide for physiological sustenance, for a temporary appeasement with the law. Even if it’s fiction, it is uplifting to know that it has at least permeated the minds of the readers of this book. But on some level, I know this to be a fact already. A truth on its own, as someone who has always turned to books for solace. As someone who has relied on the comfort of yellowed pages, of lovingly creased spines, of the smell upon a turn of the page that is like no other. Of how a particular title can induce a smile, or how a cover can suddenly flood memories in your mind. They say that book lovers never go to bed lonely, and while that has held true at some points in my life, I’ve realized that they’ve actually made the loneliness bearable, tangible in a way that teaches me. He wanted her to sense the boundless possibilities offered by the books. They would always be enough. They would never stop loving their readers. They were a fixed point in an otherwise unpredictable world. In life. In love. After death. I might have read the book in a span of 3-4 days back in January when I also happened to watch a French movie called Gemma Bovery. The title drew me — I read Flaubert in high school and this film only endeared me to the French countryside even more. And those reading days careened by, as I nourished my own love for the titles I’ve previously read. Like that time when I first read Letters to a Young Poet at Treasure Island after a bad breakup, or that Christmas morning when I finished The God of Small Things. Most days I stay in bed, floating to whatever realm these books took me. Always with a chuckle, a deep sigh, a reverent understanding of how the world works, new eyes.